The easiest and quickest way to build a platform and share your ideas or creative work in today’s world is to start a blog. You can be up and running in less than ten minutes. Seriously, it’s that easy. While you can do this with free hosted options like WordPress.com, TypePad.com, and Blogger.com, you will get the most control by using self-hosted WordPress. This is what most serious bloggers use. WordPress is one of the most popular self hosted blogging platform. 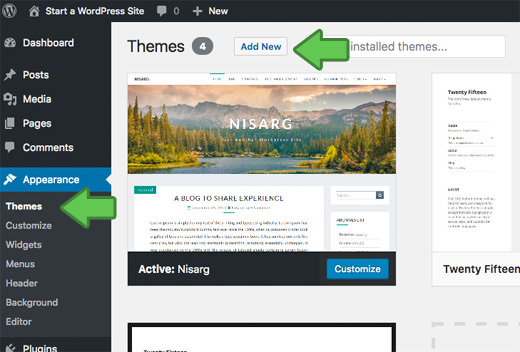 Getting started with WordPress is quite easy, and the very first step is to install WordPress on your hosting account. Most of the shared hosting for WordPress offers quick script to install WordPress, and you don’t have to take maual route to create your WordPress blog. However, this is where many people get stuck. 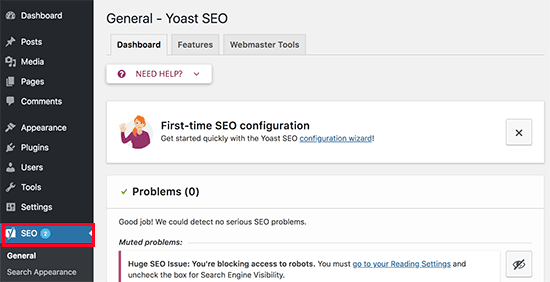 They assume that the process of setting up a hosting service and installing WordPress is complicated and time-consuming. It’s not. Okay, so where do I get hosting? HostGator is easy to use. 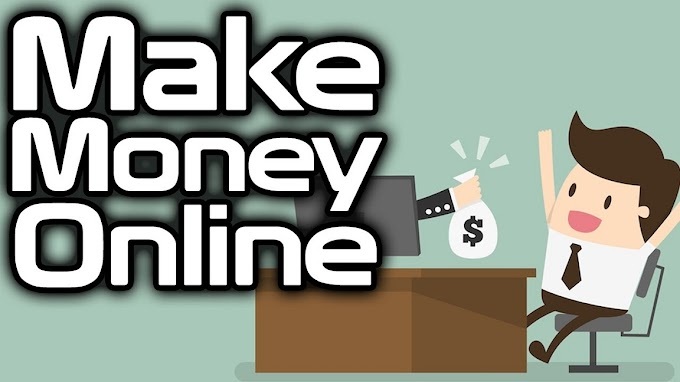 I have created all my websites through HostGator with no problem whatsoever. Their QuickInstall is phenomenal, the backend is easy to look at, and we’re always happy with the result. 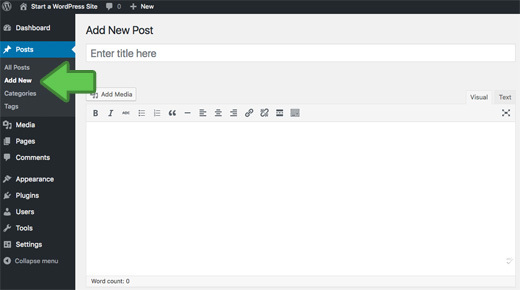 HostGator makes it very easy to create a WordPress blog with just a few simple clicks. I do it for all my blogs. HostGator web hosting offers technical support and a 99.9% uptime guarantee. I particularly like Hostgator because of the live chat support. Even when it’s just a WordPress theme or plugin problem they still do everything they can to make fix it in time without problems. What do you need to start a blog WordPress? ✔️ Your undivided attention for 30 minutes. With One Click WordPress Installation, HostGator makes it insanely easy to start a self-hosted WordPress.org blog.please follow the below step to setup your account on Hostgator. Creating a hosting account on HostGator is extremely easy. Just follow these simple steps. 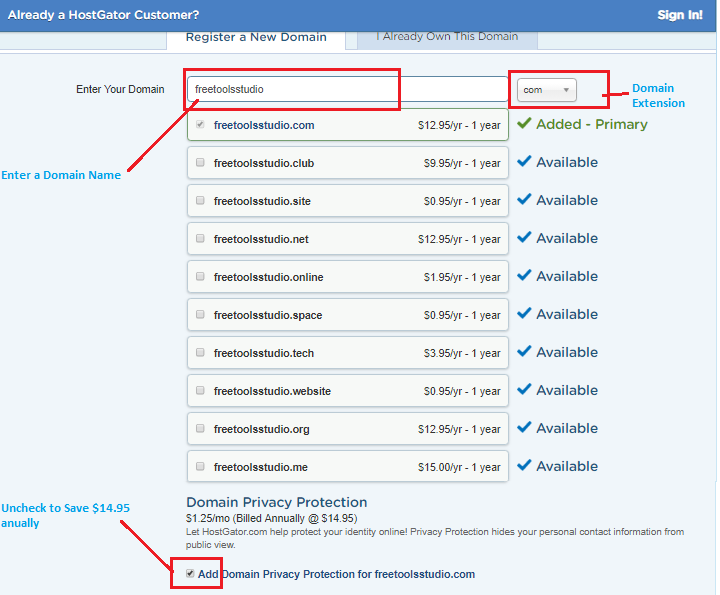 At first, go to HostGator.com and click on ‘Get Started Now!‘ button. On the next page, you need to select a plan. HostGator offers 3 plans on its shared hosting – Hatchling, Baby, and Business plan. 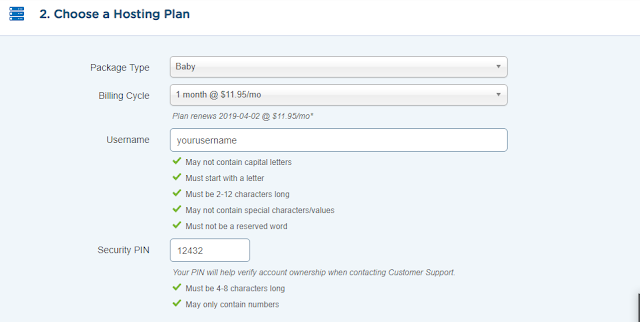 The basic difference between Hatchling and Baby plan is, Baby plan allows you to host unlimited domain where you can host only one site on Hatchling plan. Business Plan is designed for business and service-oriented site. If I were you I would select Baby plan. Once you’ve chosen a plan, click on ‘Buy Now!‘ button. Then you’ll be landed to the HostGator Order Form page. Now you need to choose a domain name. If you don’t have any domain name, click on ‘Register a New Domain’ tab and enter your desired domain name. If you already own a domain, click on ‘I Already Own This Domain’ tab and enter your domain. For the sake of this tutorial, I assume that you’re going to register a new domain name with HostGator. Once you’ve entered your domain name, it will show whether the domain is available or not. It will also show the available domains for different extensions. HostGator offers ‘Domain Privacy Protection’ service which costs $14.95/year. Privacy Protection hides your personal contact information for public view. If it’s not a problem for you, just uncheck the box “Add Domain Privacy Protection” and save $14.95. Then you need to confirm your hosting package information. Select the Package Type and Billing Cycle (1/3/6/12/24/36 Months). Enter your Username and Security PIN. Note: Select 36 months plan and you will save upto 70% off in this plan. Then enter your Email, Name, Address, Phone number & other details. Make sure that you’ve put your correct phone number as they might call you for verification. Select a payment method from the right side. You have two options – Credit Card or Paypal. 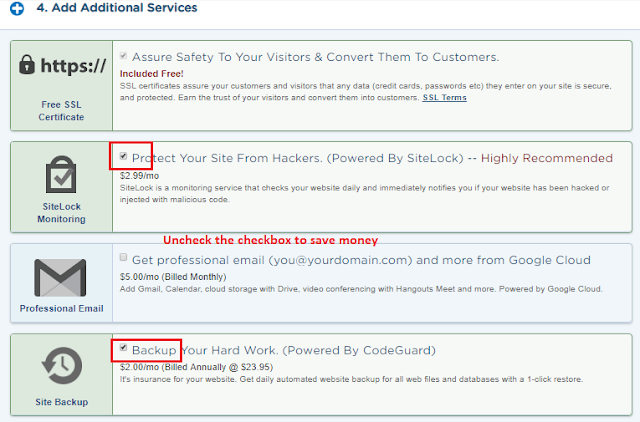 HostGator offers some additional services with some extra cost. You don’t need those services to create your WordPress blog. Uncheck all the Additional Services to save your money. In the coupon code field, you’ll find a default coupon ‘SNAPPY’ that can give you 20% discount. I’d suggest you to use the coupon MONISHA360 to get 60%-70% discount on your total purchase. 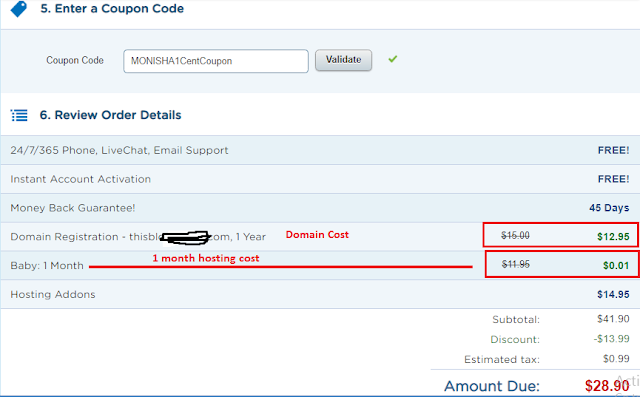 However, if you are going to pay only for one month, use the coupon MONISHA1CentCoupon to get your first month hosting only for $0.01! Make sure that you’ve selected ‘1 month’ in Billing Cycle. Then review your order details and click on ‘Checkout Now‘ button. This will bring us to either a credit / debit card payment screen, or PayPal for us to log into and pay (depending on the payment method we chose). 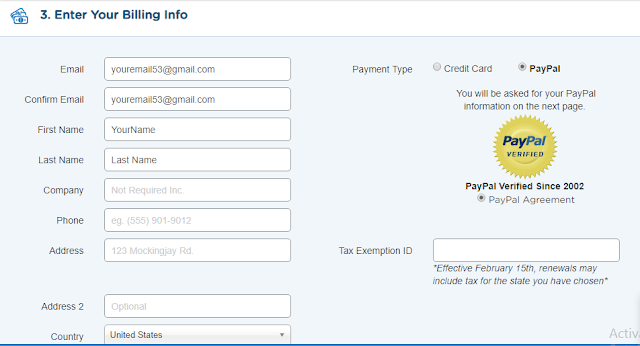 Complete your payment and they will send you a confirmation email with your cPanel login details. Getting started with WordPress is quite easy. 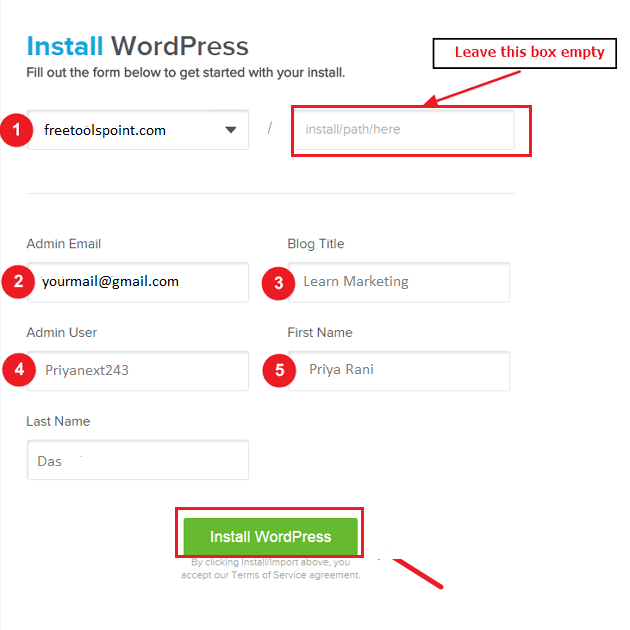 All you need to do is, install WordPress on your hosting account. There are 3 ways to install WordPress on HostGator cPanel – QuickInstall, Fantastico De Luxe, and Manual. In this post, I will show you QuickInstall method. Using QuickInstall is the easiest way to create a WordPress Blog. It will require only 5 minutes to start a blog. Even if you are a noob you can do it easily. Just follow these simple steps. 1=>At first, login to your cPanel. Most of the time, it is http://yourdomain.com/cpanel. 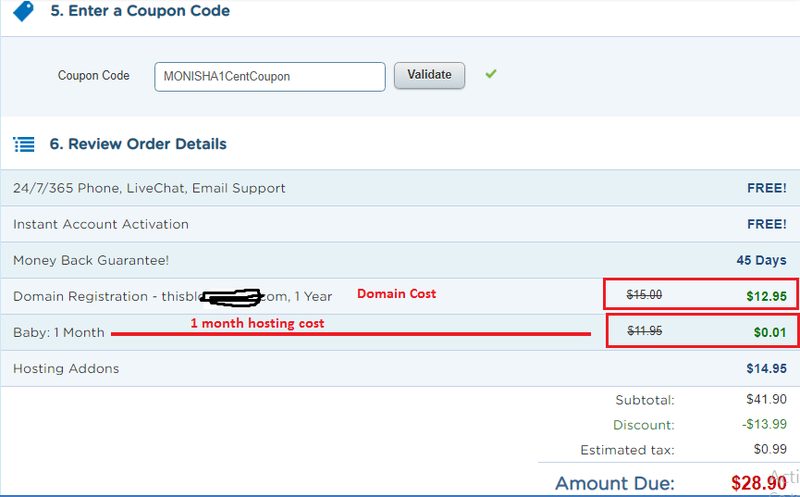 If this doesn’t work for you, go to email address and find out the Email sent by HostGator after you signed up. You will find your cPanel link, Username and Password there. Once you’ve logged in to cPanel, Scroll down and click on QuickInstall under ‘Software/Services’. 2=> Then you’ll be landed on ‘QuickInstall’ page powered by MOJO Marketplace. 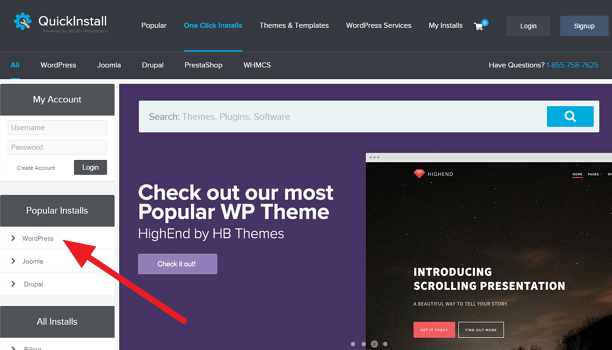 Click on ‘WordPress‘ under ‘Popular Installs‘ from the left side. 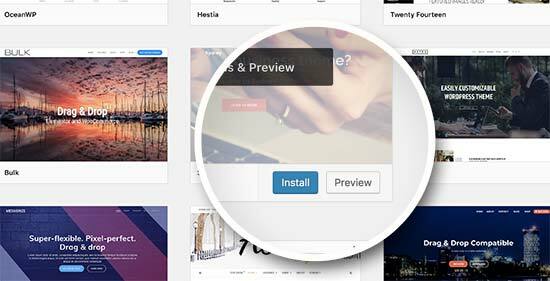 You will get the latest WordPress version to install. Just click on the “Install WordPress” button. 3. Now fill the form properly to get started with your install. Check the following instructions. Select the domain name where you want to install WordPress. If it is your first blog then you will have only one option. Admin Email: Put your Email there. If you forget your Username or Password, you can get it via this Email. Blog Title: The name of your blog. You can change it later. Admin User: It will be the Username of your WordPress Dashboard. Don’t use “admin” as username. First Name: It will be added to Admin Profile. You can change it anytime after install. Last Name: This is also the part of Admin Profile name. You can change it later. 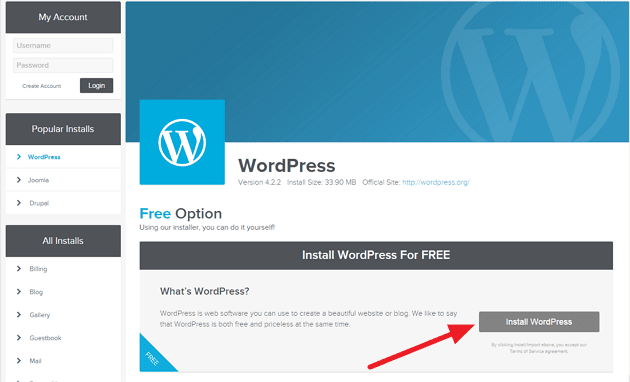 Click on “Install WordPress” button. 4. 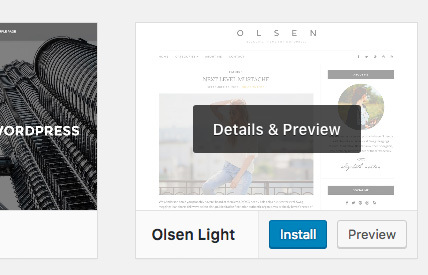 Once WordPress is installed, it will show “Your install is complete. Click Here to view your notifications” on header. 5. Now check your mail inbox. You will get an email from HostGator containing your WordPress login details (URL, Admin URL, Username and Password). Go to Admin URL (http://yourdomain.com/wp-admin), put your username and Password and click on ‘Log in’. 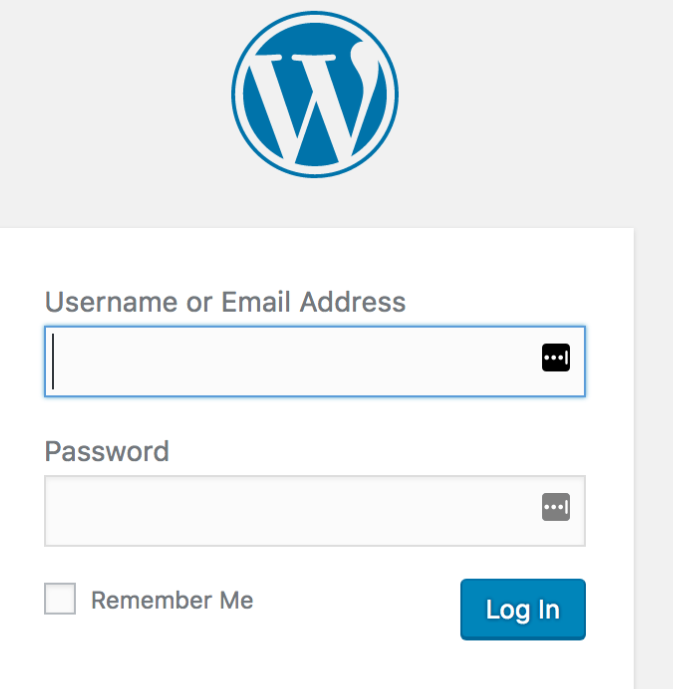 Login into your wordpress using your username and password .This will us now be logging into what is known as the ‘WordPress Dashboard. This is where we will be able to edit, or add any content to our new WordPress site. Which by the way, is 100% live online at this point! At this point it will just be a default theme and some demo content. But either way it’s fully live and ready for us to start editing! Note: If you are using WordPress.com, then you cannot install plugins. 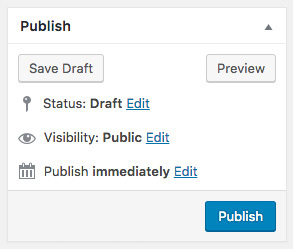 First thing you need to do is go to your WordPress admin area and click on Plugins » Add New. You can pick the plugin that is best for you. Since in our search, we were looking for Floating Social Bar which happens to be the first plugin, we will click the ‘Install Now’ button.